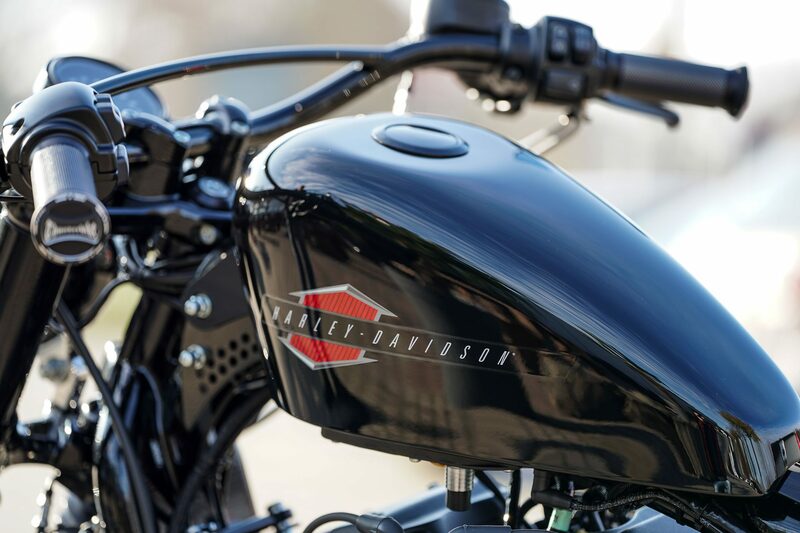 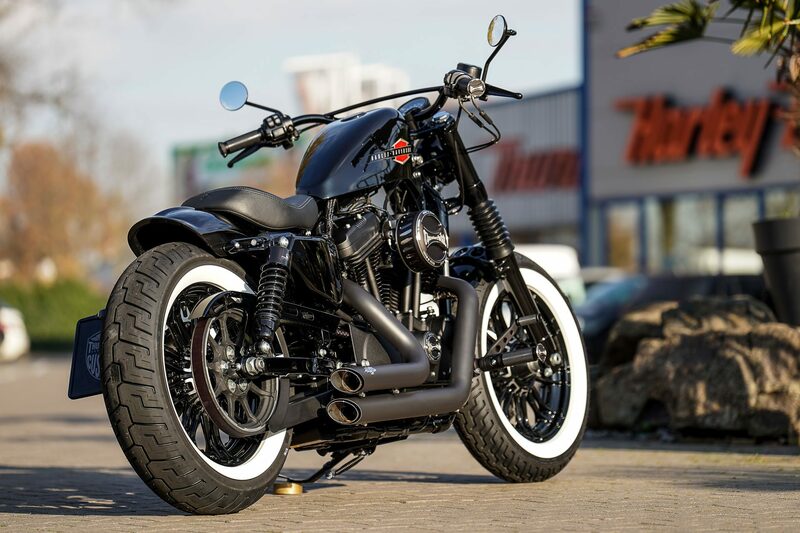 Harmony is a noun that describes in its meaning an agreement in feeling, sound, appearance and smell – also this word describes very aptly this Harley-Davidson Sportster conversion, which is perfectly tuned in its whole line. 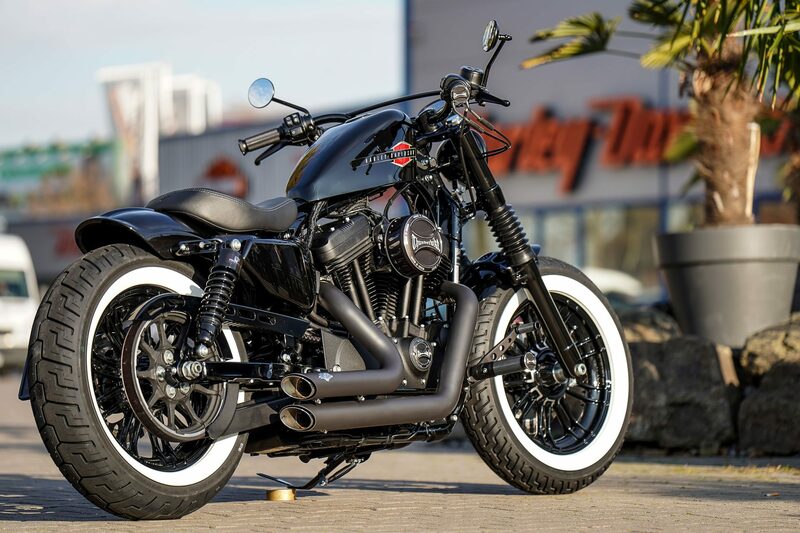 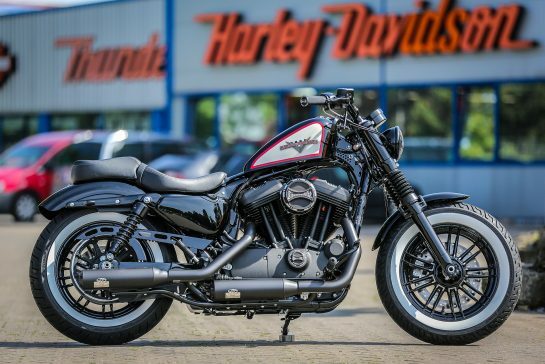 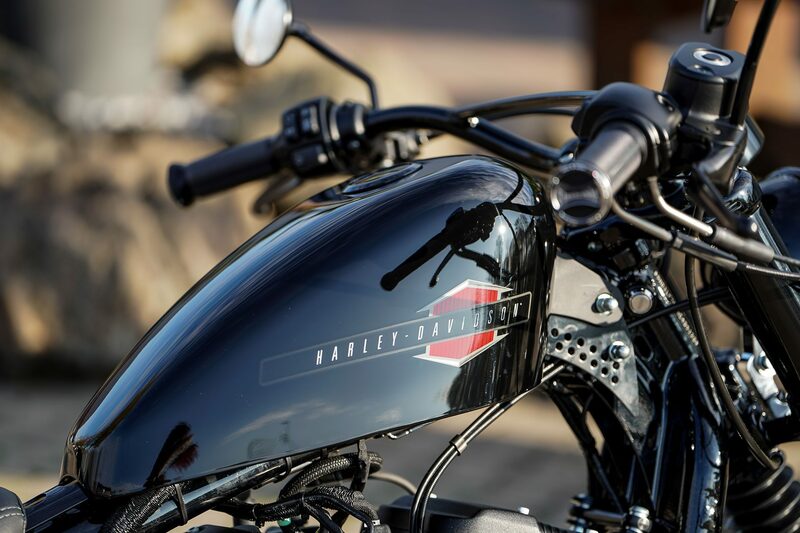 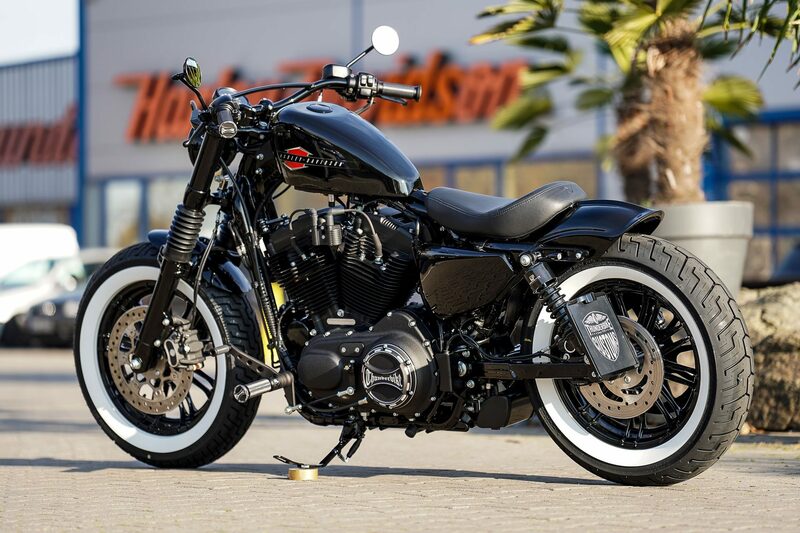 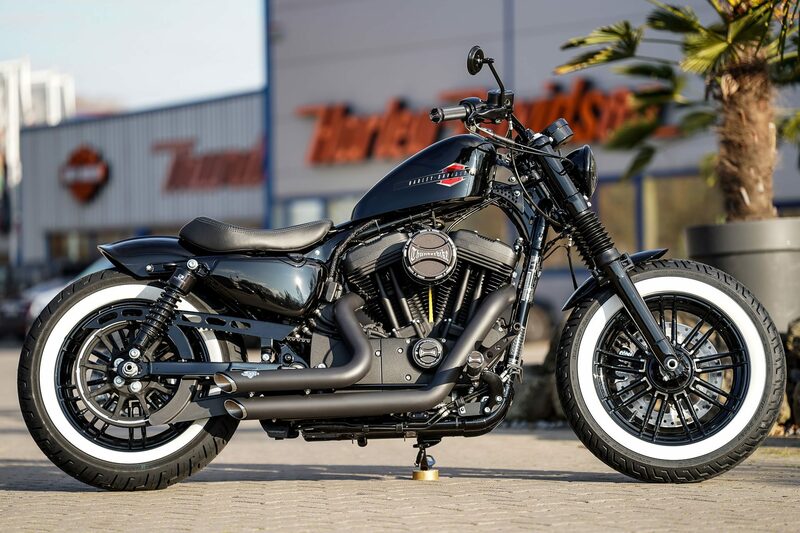 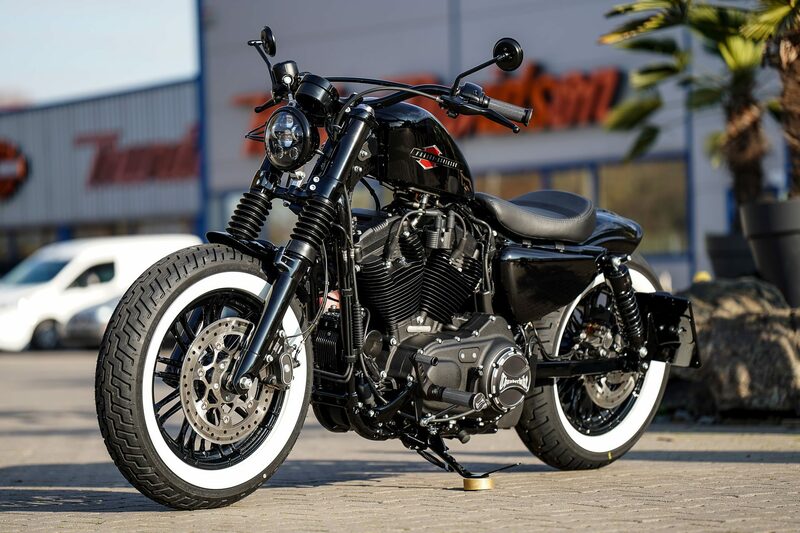 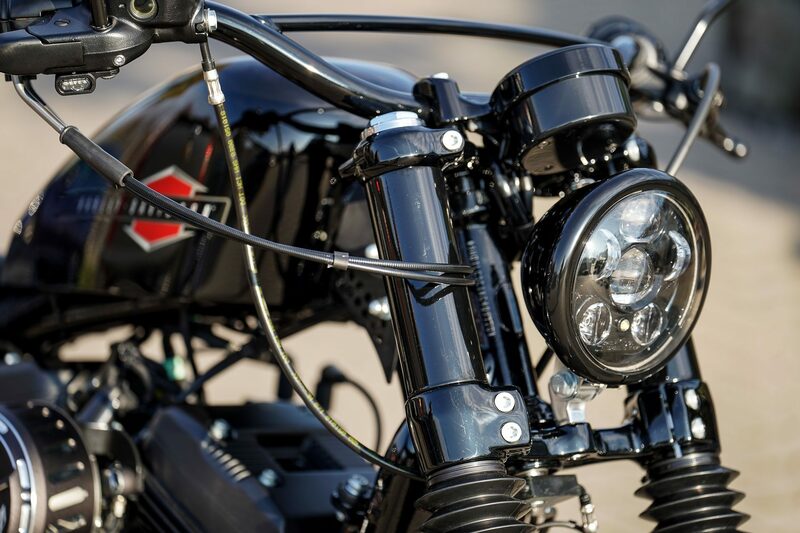 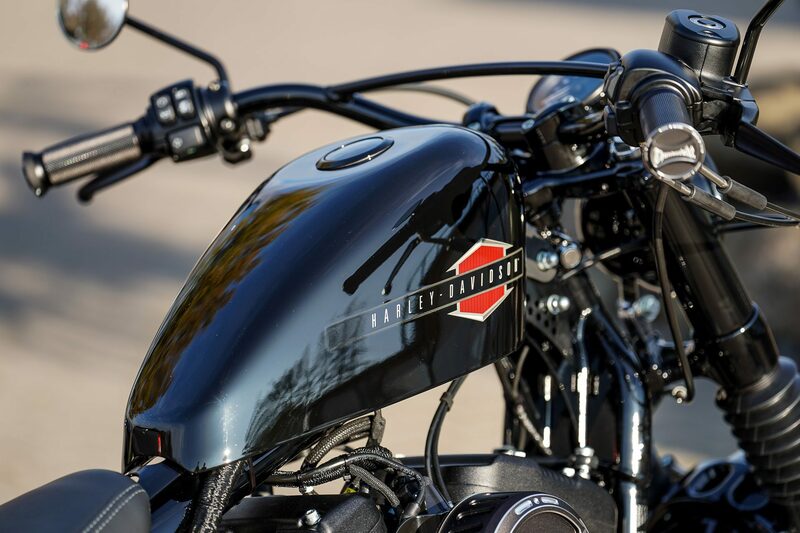 This Forty-Eight has been given a Thunderbike makeover and can definitely be seen on the road, but is more like a Dragster shape with the Bobber line still shining through. 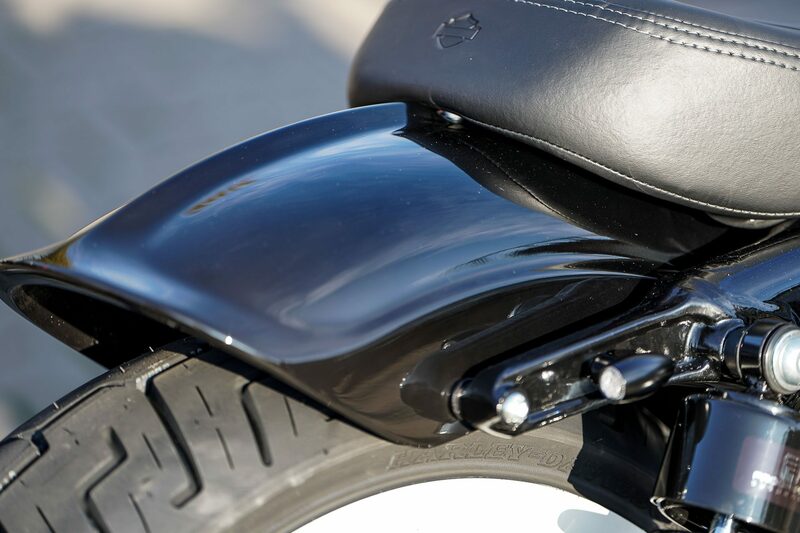 The front fender 48 made of GFK and our rear fender Fin as well as the tank raising provide for the sporty dragster look. 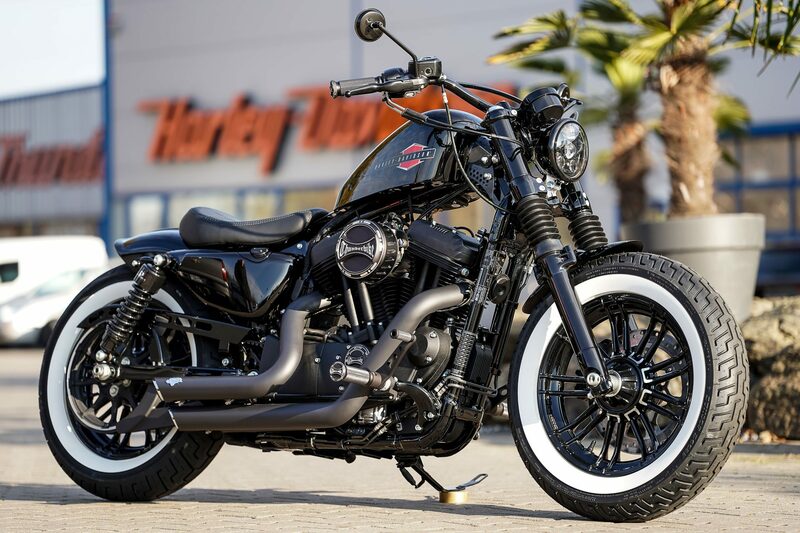 The original Hollywood handlebar with the round mirrors and the white wall tyres give the bobber look. 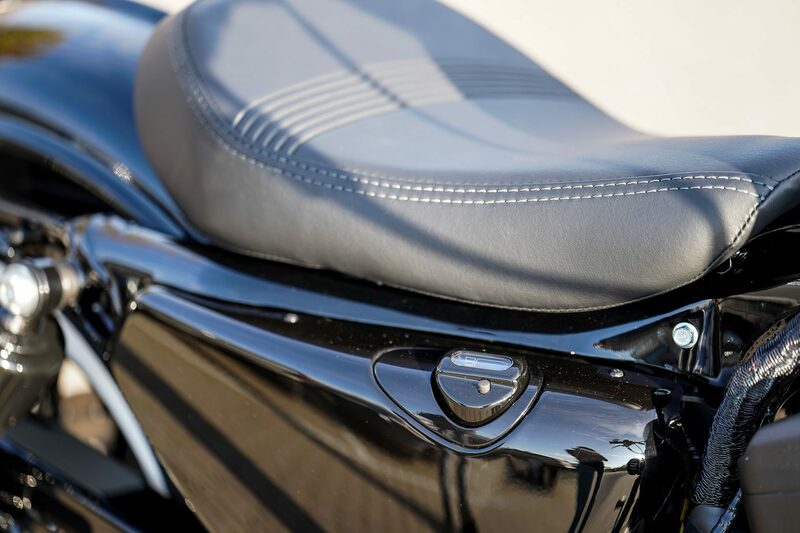 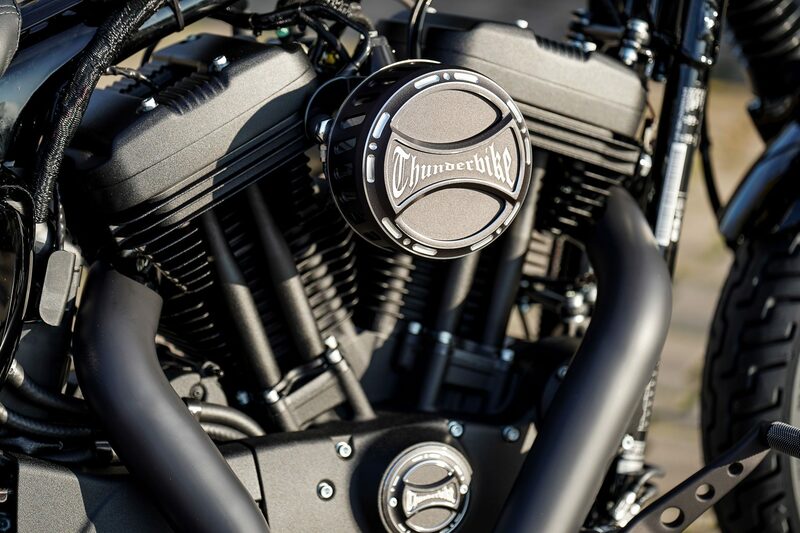 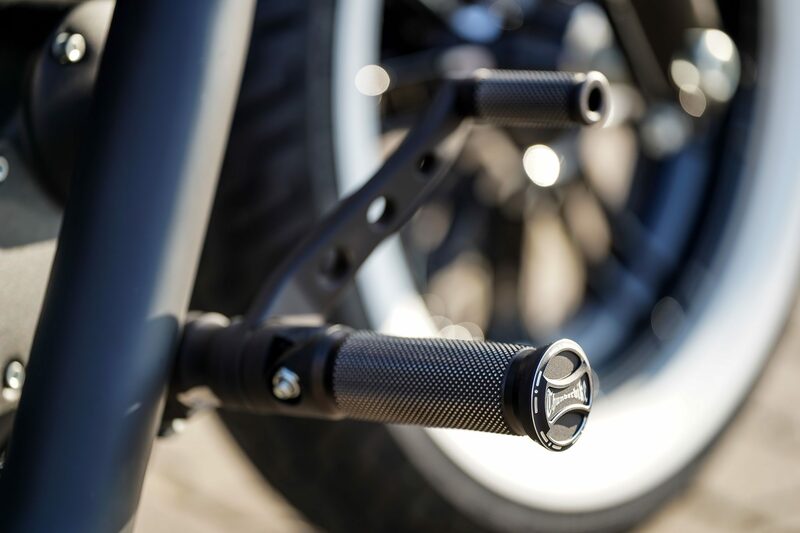 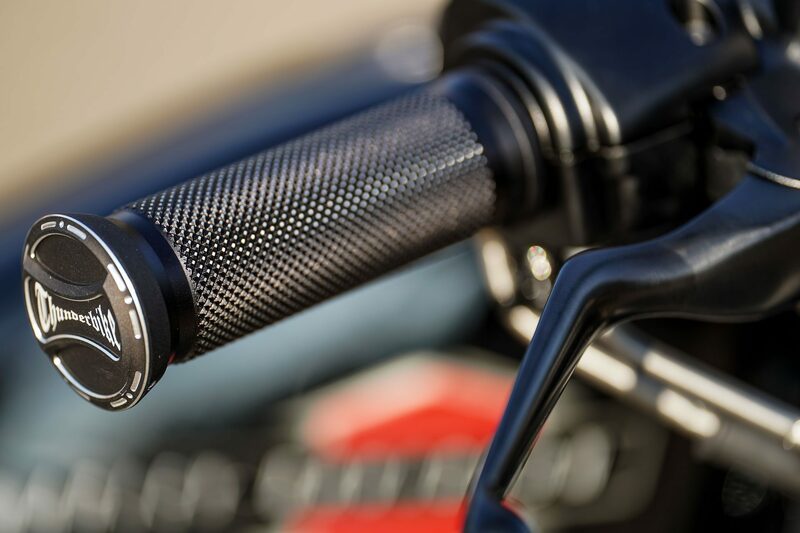 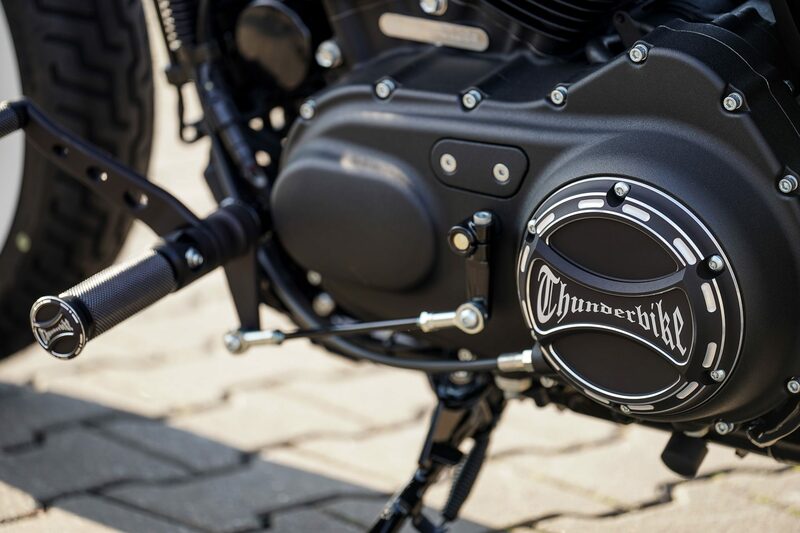 Elements like the handle set and the footrest system in satin design with torque topper and Thunderbike logo – ignition and clutch covers are also adapted to this design. 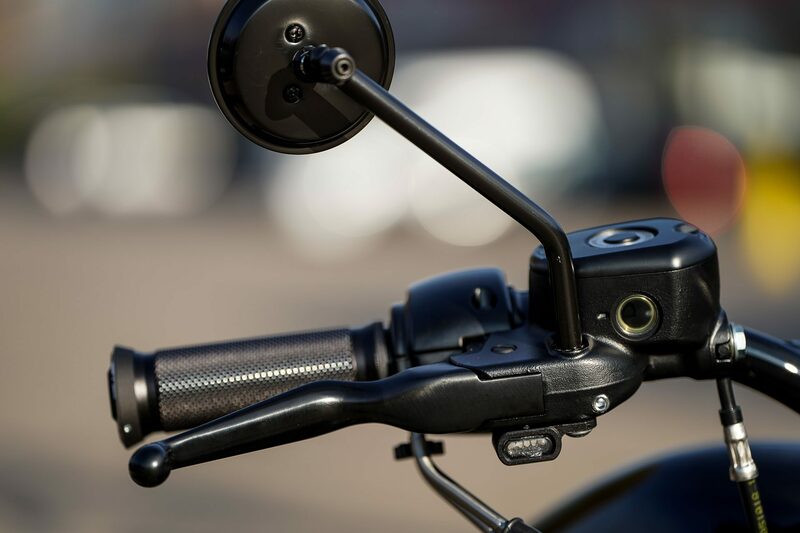 All installed parts with link in our online shop can be found as usual in the parts list. 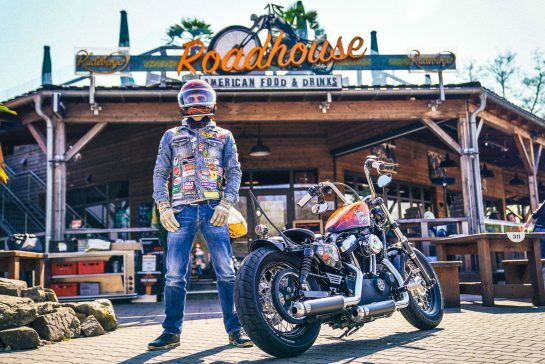 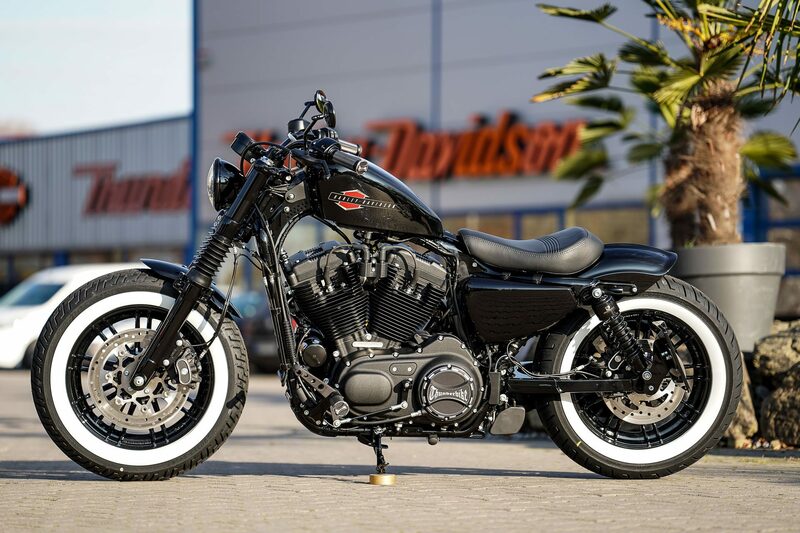 Get some more inspirations in our Sportster category!